A Children’s Entertainer You Can Trust! When you seen Crazy Kris in action you know you made the right decision for your party. Watch the video below and see Crazy Kris in action for yourself. If you are looking for a close up magician please click the link below and you will be take to Magic Kris close up magic. Welcome to Crazy Kris’ Children’s magician website. One of the North-West’s number 1 Children’s magician at a fantastic price. Crazy Kris will guarantee you have picked your correct choice of Children’s magician for the children to have a crazy, magical time! All parties will be tailored to suit yours and your child’s needs to make sure they have the best party ever! Crazy Kris is not only a family and childrens entertainer he is alson a professional close up magician with over 10 years experince in the trenches! Kris does this for a living and this is why he is a professional. Need a children’s magician ? Welcome to Crazy Kris, children’s magician’s website. The North-West’s number 1 children’s magician that creates silly laughter, smiles, jokes and the best birthday party ever! 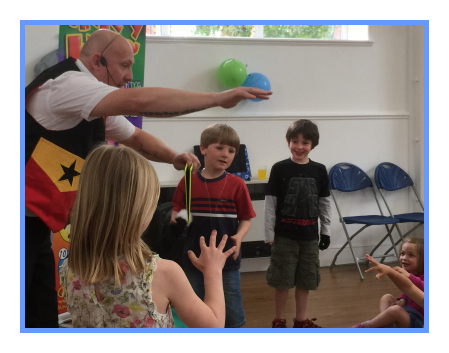 Crazy Kris Children’s magician is reliable and punctual that’s good value for money! 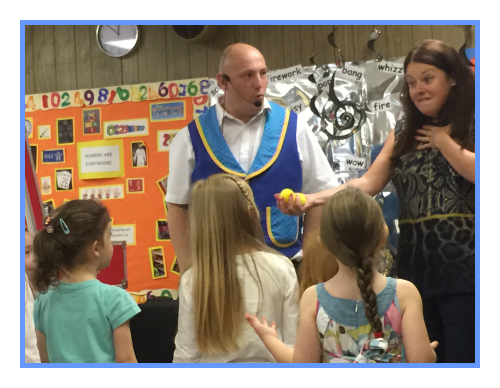 Crazy Kris is one of the most popular children’s magician’s in Warrington. Kris can offer a variety of packages that include interactive games, a fun kids disco with activities and prizes all included in the cost. He also does balloon modelling for all ages which can be added to the packages to make great give away prizes. Crazy Kris’ unique party packages to suit everyone’s pocket and all occasions’. Having a children’s magician makes it stress free, and allows you just to sort the venue and the food. 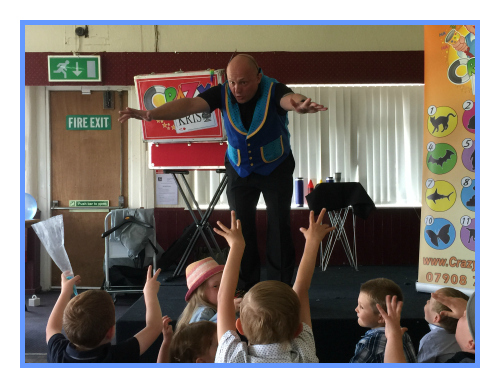 Crazy Kris children’s magician specialises in children’s entertainment for birthday parties, gala days, schools functions, christenings and holiday parks making sure everyone has a day to remember. Kris is based in Warrington and operates around the Northwest including Cheshire, Liverpool, Manchester. Wigan, St Helens, Widnes and Warrington. Kris’ prices are very competitive. Crazy Kris is not just a family and childrens entertainer but a professional ventriloquist and close up magician. If you book Kris you get Kris beware many magicians or agencies like to take many bookings and go for the higher paid booking meaning they have someone else to covers your booking and you do not know who you have booked and may not turn up! He will arrive at the venue 45 minutes before the event, tidy and smartly dressed. Reviews for his shows can be found on his Testimonial page along with Netmums, Google Buisnesses and Facebook.